Clorox Toilet Bowl Cleaner $1 Each After Coupon! 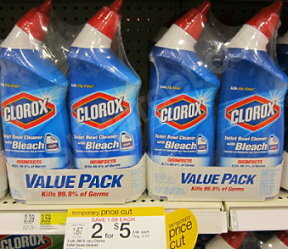 Check out this sweet Target deal you can get on Clorox Toilet Bowl Cleaner! = $4 for 2 value packs or $2 each or like paying $1 for each bottle!